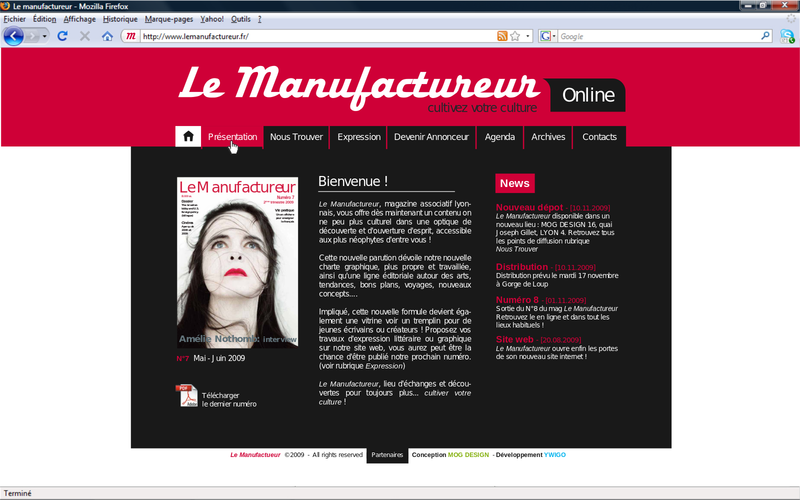 “Le Manufactureur” is a French student, urban and free magazine printed from 2005 until 2010 in Lyon, France. We gathered a team of up to 14 volunteers plus a paid position in 2010 and published many articles about practical and cultural life for students everywhere in Lyon. 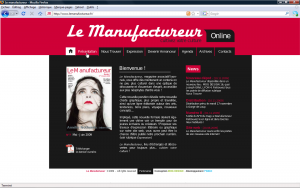 It’s a memento of the magazine “Le Manufactureur”, but also a personal website which gather diverse publications about my hobbies, especially with a special interest on the European union, and economy & finance. You can find the blog here. Please do not be surprised to only find publications about these topics or subjects. This specific page of my website deals with the magazine I created and managed between 2005 and 2010. You can find below pictures and the .pdf files’ of the Manufactureur, I mean the student, urban and free magazine which we had been editing from 2005 to 2010. Along with informations on its genesis, and its development. With the help of a political science student in 2005, Edwige Comtet, we decided to create a free and periodic publication within my university and, at the same time, I was studying to get my bachelor’s degree. 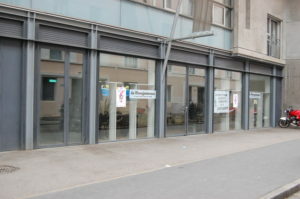 It takes place mainly in a the université Jean Moulin Lyon 3, one of the three main universities in Lyon and especially with a focus in its main building, a former tobacco factory known in French as “la manufacture des tabacs”. As this experience was entirely based in Lyon -France, I decided not to translate into English all details about this adventure and association. You can find additionnal details in this page – in French.